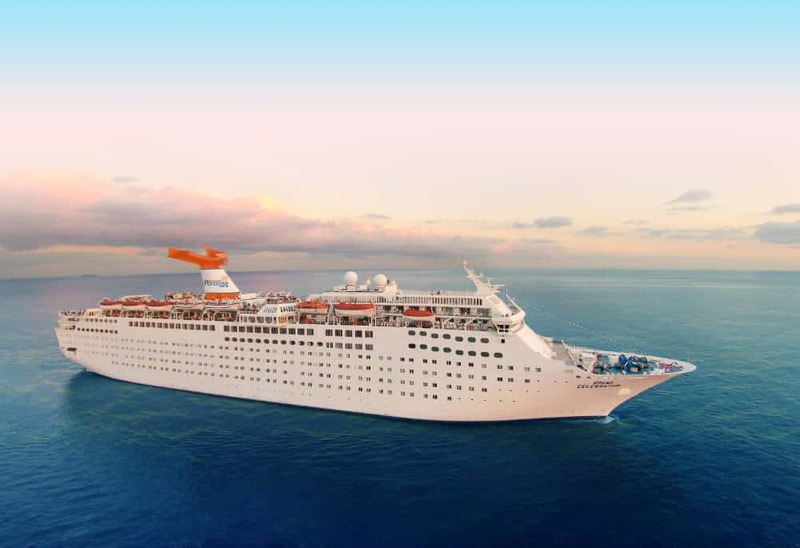 Grand Celebration is returning to the Bahamas Paradise Cruise Line fleet after being chartered for the past two months. The cruise ship will resume sailings from Port of Palm Beach, Florida. Grand Celebration will resume sailings from the Port of Palm Beach starting on Friday, December 21 with a 2-night sailing. The cruise line will now be offerings departures from the Florida port each day with short cruises to the Bahamas with two vessels. The ship has been chartered for the past two months to help with the restoration of service to communities impacted by the Massachusetts gas incident. The cruise line is offering great incentives for family cruising with kids under 12 being able to sail for free with paying guests. There is an impressive “Sail Away Your WAay” offer with adults receiving two of four free entertainment options on sailings through February 12, 2019. The offer needs to be booked by December 12, 2018. The choices for the free offerings include a $25 match play credit at the Casino, $25 Spa credit, $25 photo credit or choose a $25 onboard credit which can be used for many purchases around the ship. Cruises from Port of Palm Beach are starting from $139 per person and this makes a perfect quick getaway for families during the winter. Grand Classica is the other vessel which provides short cruises from the Florida port. Grand Celebration is 52,900 gross tons which spans ten decks and with a passenger capacity of 1,680.